Awaroa Sea Kayaks is a tour company based in the Abel Tasman National Park. 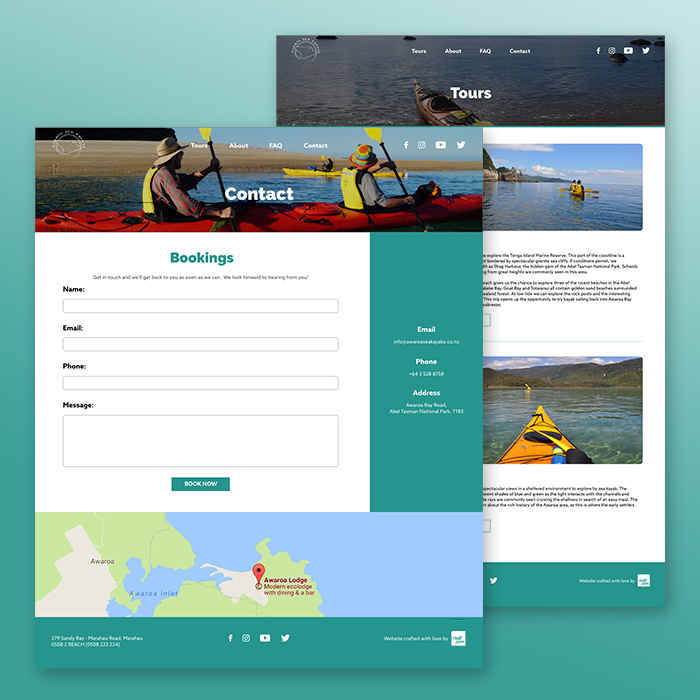 I worked with Josh from Awaroa Sea Kayaks when the company was launching to design and build a website for the company from scratch. We identified the main goals of the website as providing potential customers with information about the company’s tours, and providing those customers with a way to book tours. 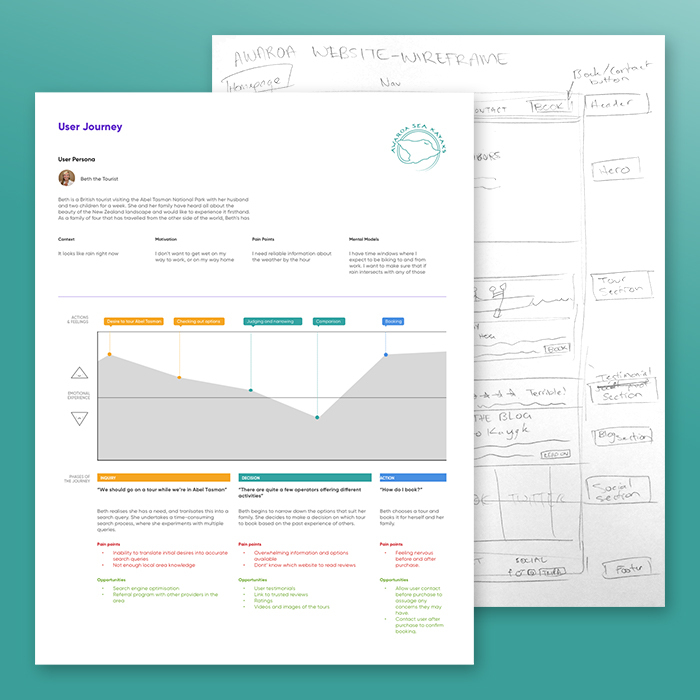 I then created a user flow, sitemap, and wireframes with the primary goal of converting visitors into customers. Josh and I undertook research into competitors in the area, and what their websites were doing right - this led me to placing features of the site in order of importance to the business and customer. Once the structure and skeleton of the site was complete, I designed a number of page concepts in order to give Awaroa Sea Kayaks an idea of what the final site would look like. I was able to utilise the company’s existing brand assets and collateral during the design phase of the website, which allows the company to maintain branding consistency throughout all customer touchpoints. I designed a mockup of each page in the website, and once they were greenlit, I built the website myself in Webflow. 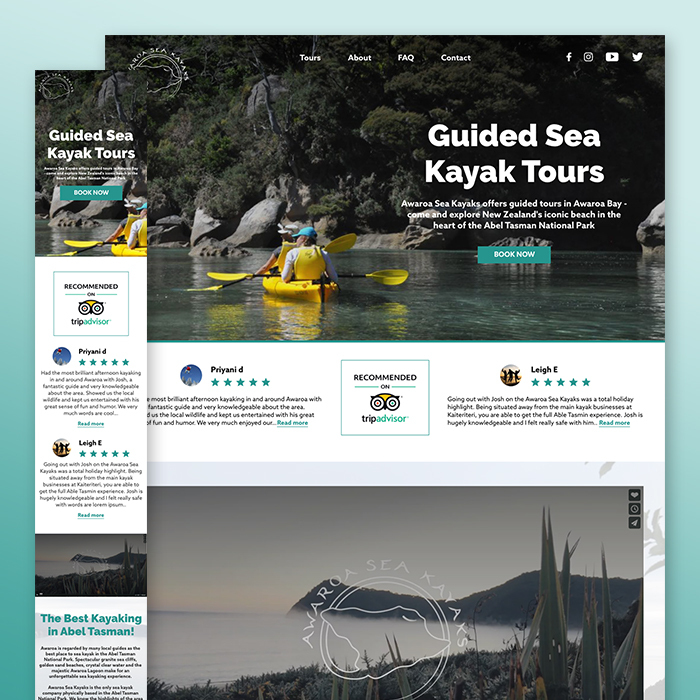 I also added a CMS to the site so that Awaroa Sea Kayaks could update content themselves and keep their customers informed via blog post. Once the site was finished Josh and I tested the site and went through a number of iterations before it was ready to launch.